The answer, though cryptic, made me personally think that this will happen. Or maybe I just want it THAT bad. The fact that they’ve even talked it over with the creators is a very good sign. 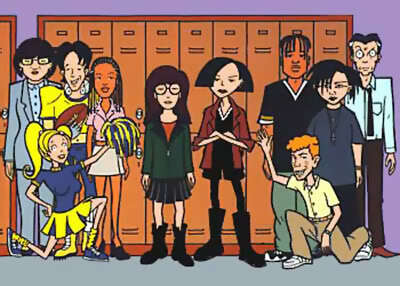 Daria, a spinoff of the more squiggly character from Mike Judge’s Beavis And Butthead, lasted for five seasons. It started in 1997, when I was in 7th grade, coincidentally. I still remember watching marathons of it whenever I had the chance at friend’s houses that had cable. The show ended in 2002, and was the brainchild of Susie Lewis and Glenn Eichler. The famously gloomy/sarcastic character lived in society she could simply not come to terms with. Constantly faced with the blind-moronic optimism of her family, teachers, and classmates, she was THE classic alienated teenager. Daria Morgendorffer was iconic, she represented every outcast at that place and time for god’s sake. That was me, that was you, that was your friend. We all “knew” her. I’m sure after the eight-disc Daria: The Complete Animated Series DVD was finally released on May 11, 2010 that the creators felt some sentiment towards the show. 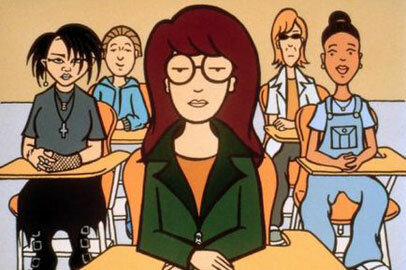 And of course, it wouldn’t be Daria without Tracy Grandstaff, voice actress for the beloved queen of monotonous wit. They’d have to get her on board, but how difficult would that be? What is she doing? According to IMDB, nothing since a writing gig in 2005 on something called Xbox, The Next Generation Revealed. 3/10. Hmmmm. Dear MTV reps: CALL HER. This is my own site, NerdyQuinn, I am responsible for all content. Woot. OMG Daria, that is my child. Hope it comes back. Do you work for this site now? Or is this CWG Zevo spin off?